Good morning and welcome back! Let's dive in with a happy birthday to Randy Newman, who provides today's intro music . 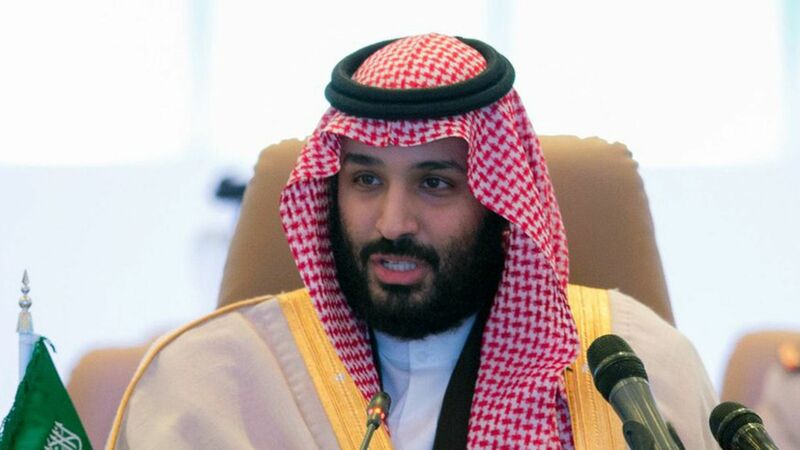 . .
Crown Prince Mohammed bin Salman's decision to shake up Saudi Arabia's longstanding patronage system and root out "corruption" introduces further uncertainties after a decade of black swan events in global oil. Just when companies were adjusting to the idea that oil prices might be lower for longer, the prospect of Saudi Arabia behaving in less than predictable ways is unnerving pundits and oil market participants alike. Saudi Arabia has generally played the role of conservative power across the Middle East, with longstanding alliances and consistent geopolitical responses. When the kingdom declared — in the midst of U.S. efforts to negotiate a deal on nuclear weapons with Iran — that it would now pursue its own interests more vigorously, few would have foreseen the kingdom taking on a two-front war and replenishing its treasury with the restitution to the state of billions of dollars in assets amassed by Saudi princes and executives whose business-as-usual practices were highly unpopular with average Saudis. What's next: Odds are that oil prices will now wind up higher than otherwise expected. Riyadh can ill afford an oil price collapse, forcing it to endorse policies inside the Organization of Petroleum Exporting Countries (OPEC) and beyond that keep the price of oil lofty. Another contingency is the prospect of expanded conflict in the Mideast from a more muscular Saudi stance, which could move oil markets back onto a pins-and-needles footing. Editor's note: Jaffe directs the Council on Foreign Relations' Program on Energy Security and Climate Change. Yesterday she was named head of the Women in Energy program at Columbia University's Center on Global Energy Policy. OPEC's decision: Reports from the OPEC meeting in Vienna and a new Goldman Sachs research note suggest that OPEC members are coalescing around a nine-month extension of the production-limiting deal through the end of 2018, but that Russia isn't on board yet. "Support for a nine month extension to the cuts by Saudi and others is likely driven by a perception of still elevated excess inventories," per the Goldman note. But Goldman later adds: "Russia appears less convinced on the need for such a long extension and the accompanying higher oil prices that Middle East OPEC producers likely welcome." To be sure: Reports from Vienna suggest the talks remain fluid and that a nine-month extension isn't a done deal. Shale's shadow: Bloomberg's team at the meeting, citing people familiar with the talks, reports that "While Russia and the Organization of Petroleum Exporting Countries have crafted the outline of a deal to continue their curbs for nine months beyond the current end-March expiry, Moscow still has concerns that supporting oil prices above $60 a barrel will help U.S. shale rivals." "Tamas Varga, an analyst at brokerage PVM Oil Associates Ltd, said 'anything less than a nine-month extension on Thursday will leave oil bulls disappointed and could lead to a serious exodus.'" Keystone, part 1: Via The Hill, "The Keystone pipeline will return to service on Tuesday, operators announced, nearly two weeks after spilling about 5,000 barrels of oil in rural South Dakota." , "TransCanada Corp's existing Keystone pipeline has leaked substantially more oil, and more often, in the United States than indicated in risk assessments the company provided to regulators before the project began operating in 2010, according to documents reviewed by Reuters." Out today: A report by Moody's Investors Service looks in-depth at how the ratings agency assesses climate change risks — such as extreme heat, rising sea levels, extreme weather events, "nuisance" flooding and more — for state and municipal governments that are becoming more severe over time. "This will be a growing negative credit factor for issuers without sufficient adaptation and mitigation strategies," they note in a summary. Bottom line: "The interplay between an issuer's exposure to climate shocks and its resilience to this vulnerability is an increasingly important part of our credit analysis, and one that will take on even greater significance as climate change continues," the report states. Why it matters: The report — which explores both underlying trends and climate "shocks" from extreme events — offers a window onto how specialists view the long-term fiscal risks from climate change. "We are always seeking to be as transparent as we possibly can with respect to how we go about reaching our ratings conclusions," Michael Wertz, a senior analyst with Moody's, tells Axios. How it matters: The report catalogs different effects, such as how climate "shocks" can weaken a region's economic output and the valuation of its tax base. Also, emergency response costs can challenge a local government's fiscal flexibility. Another example: Local governments may face increased debt burdens to finance the repair and replacement of infrastructure. "Long-term climate changes, including rising global temperatures and sea levels, are forecast to drive increased extreme weather patterns and other vulnerabilities like flooding that might put negative credit pressure on US issuers. Extreme weather patterns exacerbated by changing climate trends include higher rates of coastal storm damage and more frequent and severe droughts, wildfires and heat waves." "In addition to loss of life and threats to public health and safety, these events present a multitude of challenges in the form of compromised crop yields, economic disruption, damage to physical infrastructure, increased energy demand, recovery and restoration costs, and the cost of adaptive strategies for prevention or impact mitigation." New research from the Energy Institute at Haas finds that price cuts by railroads that ship coal is helping to soften the fuel's decline in electricity markets, according to a blog by UC-Berkeley's Severin Borenstein. The bottom line: The research shows that in some markets, coal-fired power plants served by single railroads — which hold lots of sway over pricing thanks to lack of competing shippers — have cut their margins when coal prices have come under pressure from cheap natural gas. Looking ahead, a similar phenomenon could occur in response to a carbon tax, blunting its impact. Why it matters: The research comes at a time when coal's share of the U.S. power mix has been trending downward for years. The amount of coal in power generation also affects climate change because the fuel emits more CO2 when burned than gas, let alone when compared with nuclear and renewables generation. Climate link: Borenstein writes that this railway pricing effect has been an overlooked aspect in the widespread discussions of coal's economic competitiveness going forward. "Researchers studying climate policy typically translate a carbon price into a cost increase for coal generation by assuming that the generator's costs rise by the price of their [greenhouse gas] emissions. But Preonas shows that such pressures on generator profits cause charges for coal transportation to fall in many areas, keeping coal in the money to a greater extent than the standard calculations would suggest." Sen. Jeff Merkley says domestic solar manufacturers should be helped by incentives instead of tariffs to compete with cheap imports, putting the Oregon Democrat on the side of most of the solar industry and against an Oregon-based manufacturer seeking tariffs from President Trump. Why it matters: Merkley personifies the challenge facing clean-energy advocates in the pending solar trade battle: He wants to support renewable energy whenever possible, but one of his constituents is telling him cheap imports is hurting his home-state solar manufacturer. Merkley's comments to Axios, made earlier this month on the sidelines of a climate conference in Bonn, Germany, are the first the senator has made on the trade case. Quoted: "I would like to see us to take an approach that would assist the American companies so they could lower their prices and compete with industry at lower prices," Merkley said in an interview earlier this month. He said subsidies to U.S. companies would be a "real win-win." Renewables: Research unveiled today by Bloomberg New Energy Finance shows a sharp jump in solar power deployment in emerging markets. Check out the chart above from their annual Climatescope report, and it shows a 54% rise in solar. "The massive drop in photovoltaic module prices we've seen over the last several years continues to reverberate through developing countries," Ethan Zindler, a top BNEF analyst, says in a statement. Yes, but: BNEF said their wider country-by-country analysis of market and policy conditions reveals several "troubling" signs, including an overall $40 billion drop in clean energy investment in non-OECD nations last year. Batteries: The demand shock from EV growth — and projections of more and more growth — has caused lithium prices to soar, but there are already signs that the cost surge will ease, according to a new HSBC note on raw materials for batteries. Why it matters: Keeping supply costs in check is important to enabling widespread deployment of batteries for electric vehicles and grid storage. Since mid-2015 lithium costs have grown in Europe (113%), North America (184%) and Asia (240%). But there are signs that supply is beginning to expand in response to the demand and high costs, though it may be "some time" before prices move lower, the note says. "There has been a sudden surge in demand but because new projects can take several years to come online, the supply response is slow," the report states. Development: A new Center for Strategic and International Studies report provides a wide-ranging look at the challenge of expanding energy access in developing countries — which will account for virtually all global energy demand growth in coming decades—while fostering use of low-carbon sources. Go deeper today: Early this afternoon CSIS is hosting an expert panel to discuss the topic and the findings. Registration and webcast information is available here. Natural gas: E&E News has an informative feature about the multi-front battles over expansion of natural gas pipelines infrastructure along the East Coast. The piece provides an overview of 10 projects.